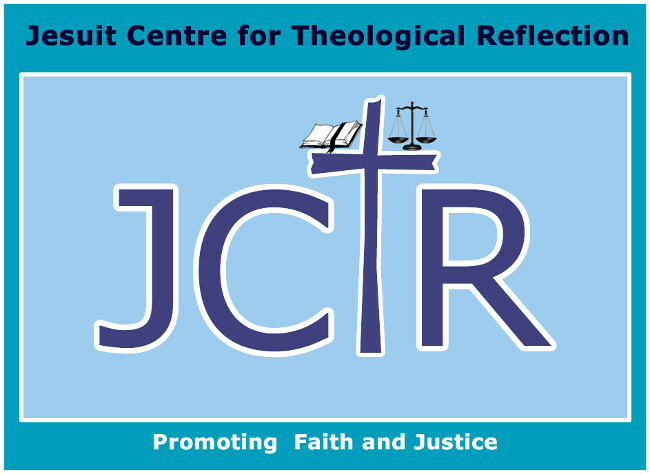 JESUIT Centre for Theological Reflection (JCTR) has said the senseless and brutal death of a Zambian citizen Grayzer Matapa is a grievous violation of the first and fundamental moral principle of life. JCTR Media and Information Officer Mwiinga Shimilimo said in a statement that her organisation was concerned that Zambia was slowly degenerating in its social consciousness given the lukewarm response accorded to politically motivated violence and deaths experienced in the recent past in the country. Miss Shimilimo said JCTR was compelled by the values of Jesus Christ wishes to appeal for “nipping in the bud” which was apparent simmering political violence. The senseless and brutal death of a Zambian citizen, Grazier Matapa, is a grievous violation of the first and fundamental moral principle of life “do good and avoid evil” which is premised on the preservation and protection of human life. We refuse to trade in the sin of Cain, who when asked about the whereabouts of his brother Abel he answered, “Am I my brother’s keeper?” In deed as Edmund Burke observed, that “All that is necessary for the triumph of evil is that good men do nothing”. The violent death of Grazier Matapa and subsequent lack of respect thereof raises questions of Zambian society’s social consciousness. We are concerned that Zambia is slowly degenerating in its social consciousness given the lukewarm response accorded to politically motivated violence and deaths experienced in the recent past in our country. It is for this reason that the Jesuit Centre for Theological Reflection (JCTR) compelled by the values of Jesus Christ wishes to appeal for “nipping in the bud” the apparent simmering political violence. Further, we wish to remind fellow countrymen and women that the nation has not yet recovered from the violent death of a citizen along airport road in Lusaka in intra-party conflict last year. Still last year, we witnessed yet another death of a person in Livingstone in politically motivated violence. We note with concern on the rising tendency to use violence to resolve political differences. Politically motivated violence which is supposed to be an exception now appears to be the norm. We denounce the tendency to use might rather than right in addressing conflict. Therefore, we as a Centre in support of social justice cannot afford to remain silent in the face of grievous violations and senseless loss of human life. We further note with concern President Edgar Lungu’s lukewarm response to the rising political violence and the death of Mr. Matapa in particular. President Lungu during his inauguration in January affirmed that he will be a president for all Zambians. Yet when a practical occasion emerged to reassert his claim, he clearly took a partisan position. Further, the Zambia Police Service committed grievous omissions and commissions in the death of Grazier Matapa. The police failed Matapa and the people of the Republic of Zambia by acting unprofessionally. Matapa had reported the matter to the police to the effect that his life was in danger. Therefore, Grazier Matapa in effect died under their watch. The police should have exhibited remorse. The failure to act in accordance with their constitutionally bestowed mandate is therefore an act of gross negligence and should therefore attract appropriate sanctions to whoever failed to act on the report. We condemn, in the strongest possible terms, the failure by police to attend to Mr. Matapa’s complaint. The lack of due diligence exhibited by Zambia Police Service in this matter is alarming. It is almost a given fact that in times of mourning Zambian culture entails unity and support to the grieving family. To the contrary Matapa’s death did not reflect this. The violent death of Matapa was traumatizing enough to the victim’s family and all citizens of good of will of the Republic. The dropping down of the coffin in public purview and subsequent splintering of the same was re-traumatizing. Political parties should strongly discipline if possible expel members who are engaging in violence. The leadership of political parties have the capacity to stop the increasing levels of political violence that threatens the peace this country has enjoyed for many years. The leaders should be held accountable for the behavior of their cadres. Going forward it is necessary that political leaders and cadres engaged in political violence are arrested and face the law. It is our sincere hope that justice will prevail over the death of Mr. Matapa. Inspired by Divine Law, the Ten Commandments exhorts: “Though shalt not kill”. The JCTR is abhorred by government’s response to the horrifying murder of Mr Matapa. Further, we feel aggrieved with police’s general conduct prior to, during and after the death of a harmless citizen of the Republic. By teargasing the funeral procession the police acted dastardly, shamefully, dishonorably and senselessly. “And the LORD said, “What have you done? The voice of your brother’s blood is crying to me from the ground.And now you are cursed from the ground, which has opened its mouth to receive your brother’s blood from your hand.” (Genesis 4:10). Meanwhile, a “strategy” has been unearthed: if you want to harm someone without reprisals, just put on pf chitenges. You can even beat up the whole, entire, police command without being apprehended! Excellent analysis by JCTR! I hope Laura Mitti is reading this. Its been less than two months that this administration has been in place and already they are accused of having blood on their hands. What will become of our wonderful country if we don’t stand up against this. To paraphrase what the center is saying, ” to do nothing or say nothing in the face of evil is to participate in evil”. As Zambians we should all demand that justice is executed and the perpetrators should be persued to fullest extent of the law. Nothing can bring back the life of Matapa but I ask all Zambians ” WILL THE BLOOD OF OUR NATION CONTINUE TO SPILL IN VAIN?” . This is the worst regime in the Zambian history. Under PF we have recorded six deaths and the leadership is mute. i have listed the number of deaths caused by PF cadres.Anyway the educated illiterates of towns are the ones responsible for this PF nonsense. I HOPE LAURA MITI HAS READ THIS RESPONSIBLE AND OBJECTIVE STATEMENT THAN THE TRASH SHE WROTE THE OTHER DAY. IT WAS AN INSULT TO THE ZAMBIAN PEOPLE. SHE SHOULD SAY HER MEA CULPA. We need people who can blog sense than mere politicking on every issue.